The NZ KC framework was informed by international work conduced by the Organisation for Economic Cooperation and Development (OECD), as part of the DeSeCo 1 project (OECD, 2005). are demonstrated in real contexts and in interaction with others. Effective leaders create the conditions required for exploring Key Competencies in teaching and learning. They need to ensure that the culture, pedagogy, systems, partnerships, and networks in their school support Key Competency development. Distributive leadership of the KC's also requires a school culture that recognises and values the Key Competencies. 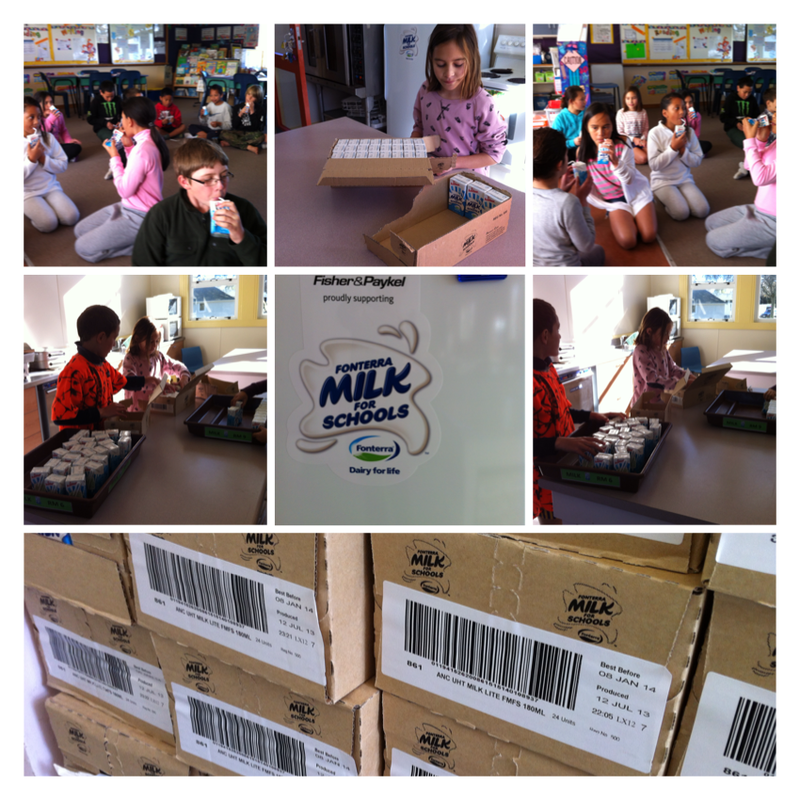 This is evident at E.P.S through the collective goals for teaching and learning, the explicit value of Whakaaro Pai, Our I CARE philosophy, Assemblies, Syndicate celebrations and shared leadership amongst students ie: Buddy Reading and Milk Monitors. Personal Insight: The Key Competencies matter in my classroom because 'things have evolved'. Since our education systems were first established there has been enormous change in how knowledge is being viewed, in the nature of whãnau groups or societies and in technologies. The on-going changes have huge implications for the educational pathways that our tauira or young people require. Fortunately, the Key Competencies take into account many of those changes. They put the students of whom I am most fortunate to work alongside, at the centre and bring a future-focused perspective to how I deliver 21st century teaching and learning. The purpose of education as I understand, is to encourage and inspire the hearts and minds of those young souls of whom we are blessed to learning alongside, so that they become confident and share a set of skills and values that lead them into the 22nd century. As I embark on my adventurous thinking and learning journey with #MindLabRotorua three personal goals come to mind. 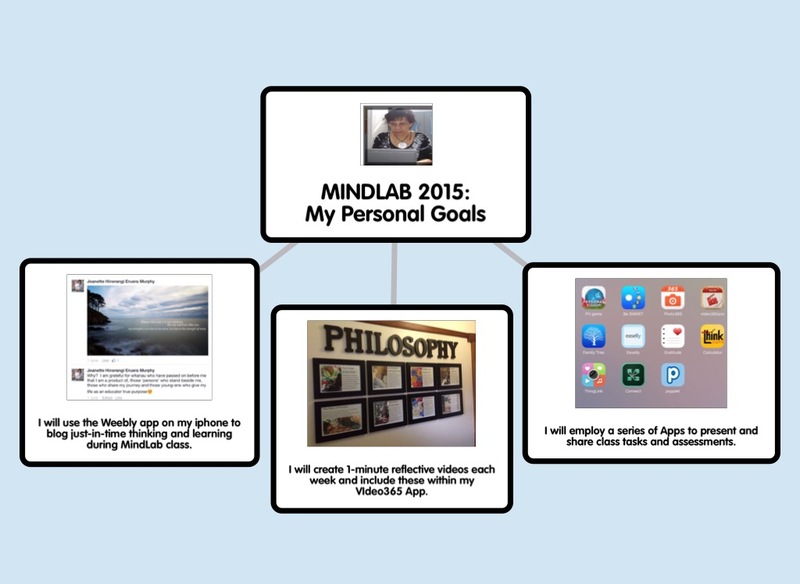 I have used the app Popplet to record this information and share it now as an image below. Epistemology - What is Knowledge? In our group discussion (Verbena) Ma added that knowledge has a base and is about linking what we know, sharing and passing information on. I do like the way Lesa talked about knowledge being historical, general, now and philosophical. Reflecting on the word knowledge she also added questions like 'How is it meaningful?, What is it we want?, How does it apply?' Those questions then got me thinking 'Do our views about knowledge change over time? and How might we now come to a common understanding about the word knowledge?'. Then came MY 'aha moment' ...What is it that we DO to acquire knowledge?' 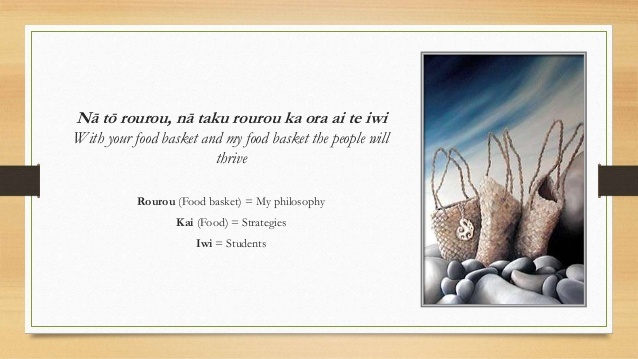 From a Maori perspective I believe we draw on Durie's Tapa Wha Model to obtain knowledge and make sense of practically anything. We have a tendency to bring 'what we know to the fore' and encompass the four states of 'Being' as mentioned below. 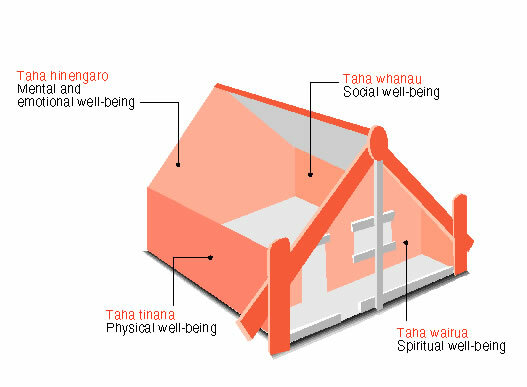 I changed my physical representation to then become a whare wananga - house of knowledge. I am proud to have been recognised recently as an..
Morena. Super excited to start my Mindlab journey today with Alex, Annemarie Hyde, Andrea, Ma & Lesa Lafaelle @ RGHS. #collaboration #appliedpractice#wishcometrue — with Susan Olivier. 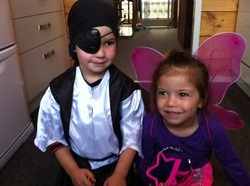 ​Update: Travel time is tight and we will need to leave school on the bell then pick up Ma up in Kawerau. We are not quite sure at this stage whether we intend staying. ​Morena koutou. Three things that I am grateful for inaianei. Te mea tuatahi: Kapa whakangahau o Te Pahipoto. Te mea tuarua: Acceptance onto the Postgrad Cert in Applied Practice Programme with Unitec/Mindlab alongside my buddies Ma & Lesa Lafaelle. 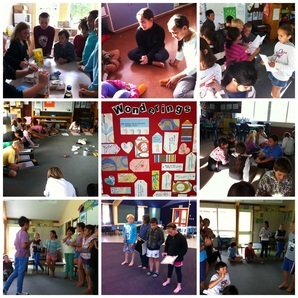 Te mea tuatoru: Recognition as an NZ ACET kaiako. 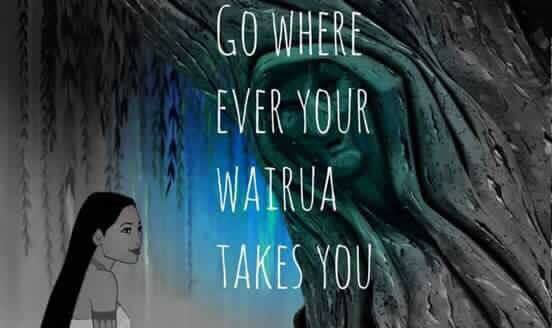 Ki taku whãnau mo to awhinatia me ngã aroha ki ahau, ngã mihi nunui kia koutou katoa. Kia pai to rã.